Google Analytics not only allows you to measure sales and conversions, but also provides a current picture of how your store is used by visitors, how they arrived and how to make them return. The Ecommerce reports allow you to analyze purchase activity on your site or app. You can see product and transaction information, average order value, ecommerce conversion rate, time to purchase, and other data. To connect you store to Google Analytics add your tracking ID. o find the tracking ID of your Google Analytics account click here. By adding your Google Analytics tracking ID the Enhanced Ecommerce events will be automatically added. These will give you insight into shopping activity: product page views, adding products to shopping carts, initiated, abandoned, and completed transactions. 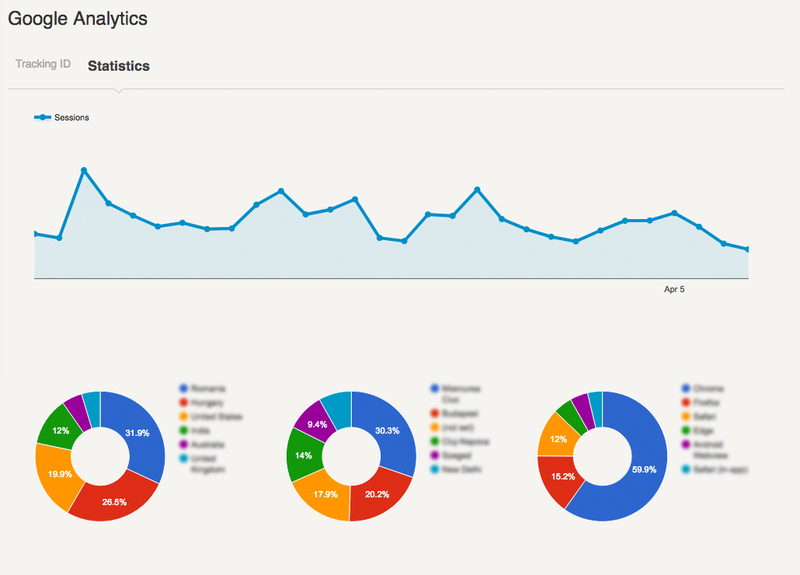 On the Statistics you can view a brief Google Analytics statistics of your store. For a details view please log in to your Analytics account.